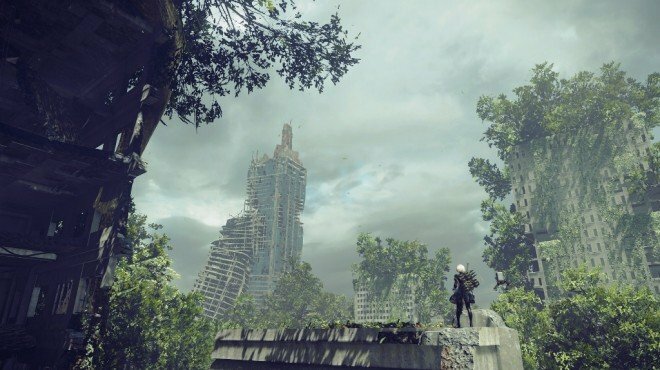 Project Gestalt Report 8 is one of the information archives in Nier: Automata. As Project Gestalt undergoes approval in countries across the world, we recognize that there have been imperfections in how information has been regulated with regards to civilians. Until the safety of the final system has been verified, all information related to this matter is subject to Level 4 classification. As such, its relation to the Ministry of Health and Welfare's life rehabilitation program must be kept strictly confidential. - Clauses regarding compensation in the event of information leaks are to be added to contracts with all partner companies. - In the event of an information leak, ascertaining the source should be the company's top priority. - Please refer to "Countermeasures C" for information on how to handle leaked information, as well as the individual(s) who disclosed it. Desert Zone - Locked Chest: Located by a large rock near the entrance to Desert Housing. Protected by some flying enemies. Looking at the entrance (where you first meet the runaway robot) turn right and head down the hill. You'll see some small bipeds.